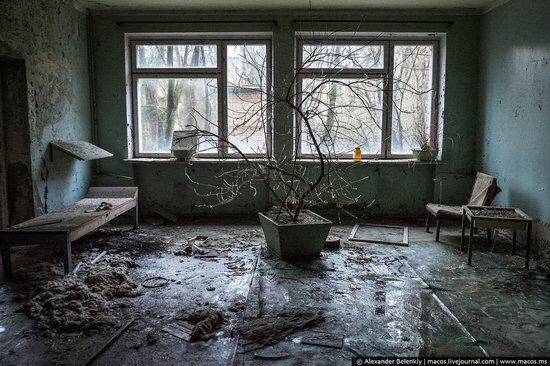 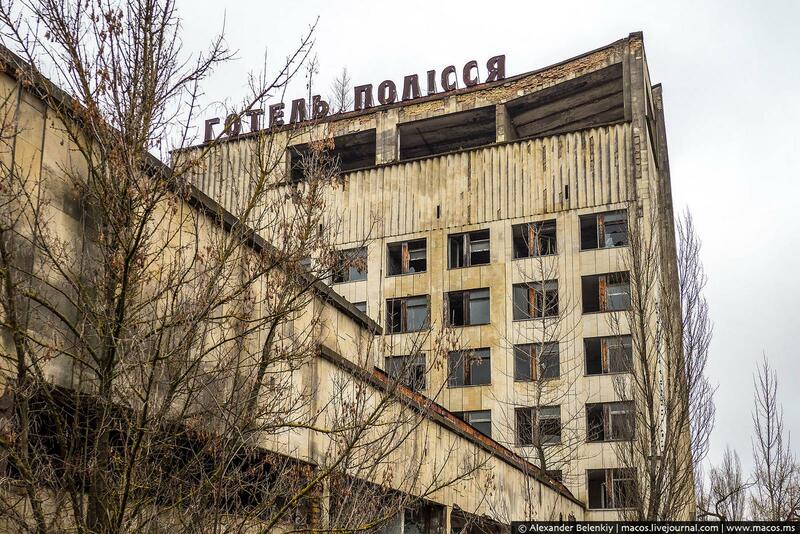 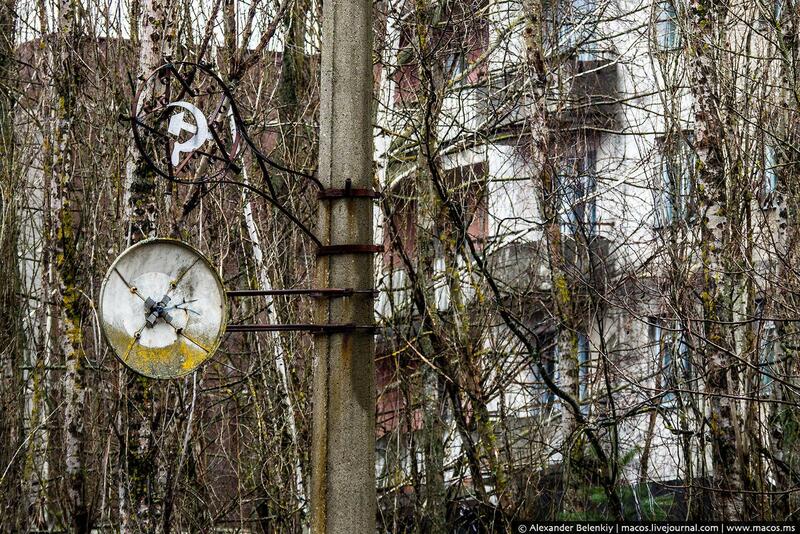 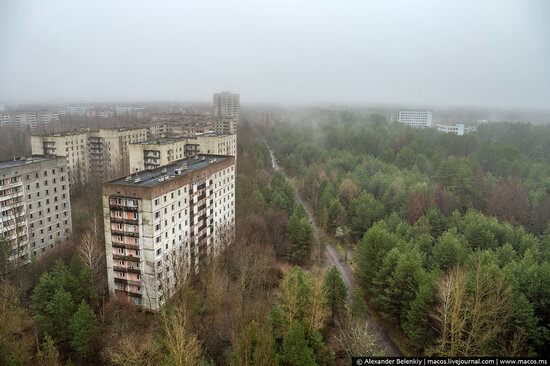 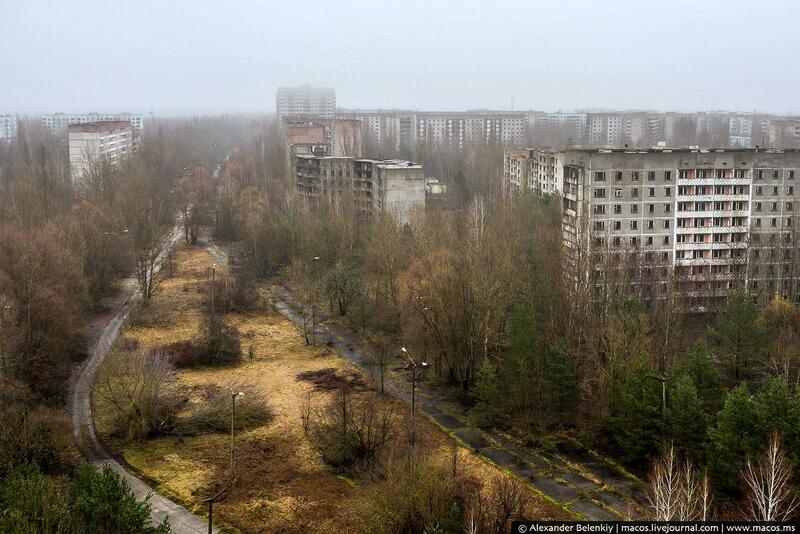 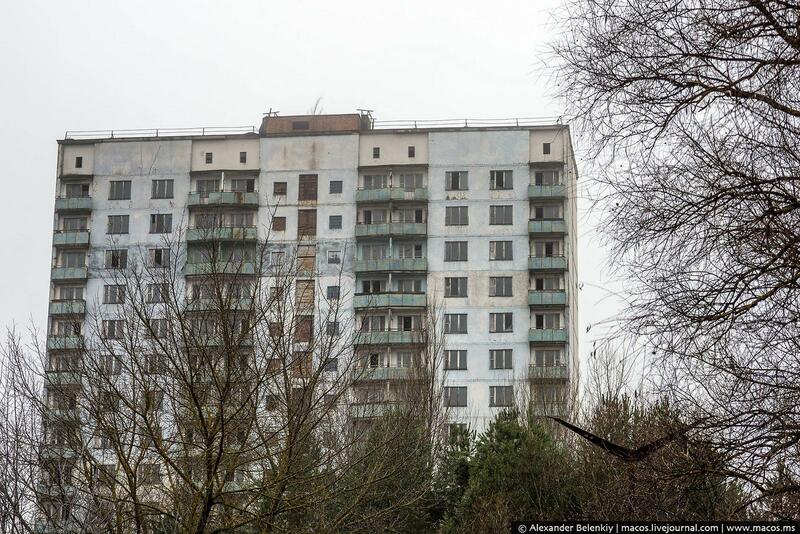 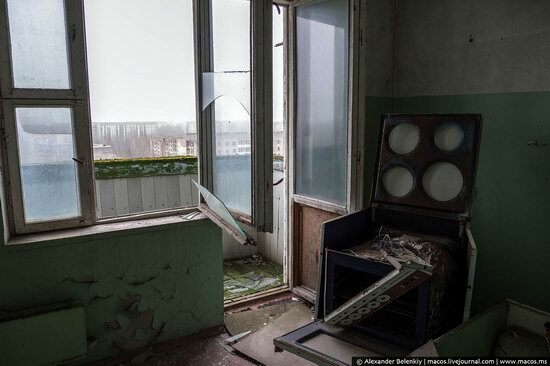 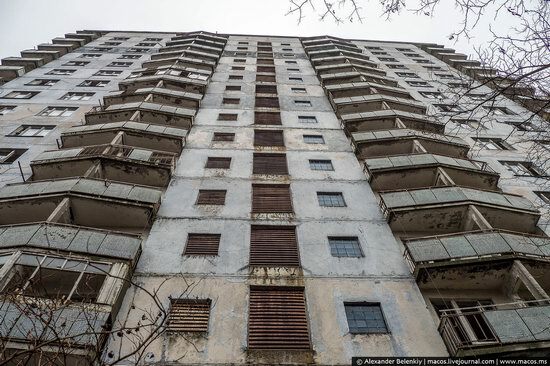 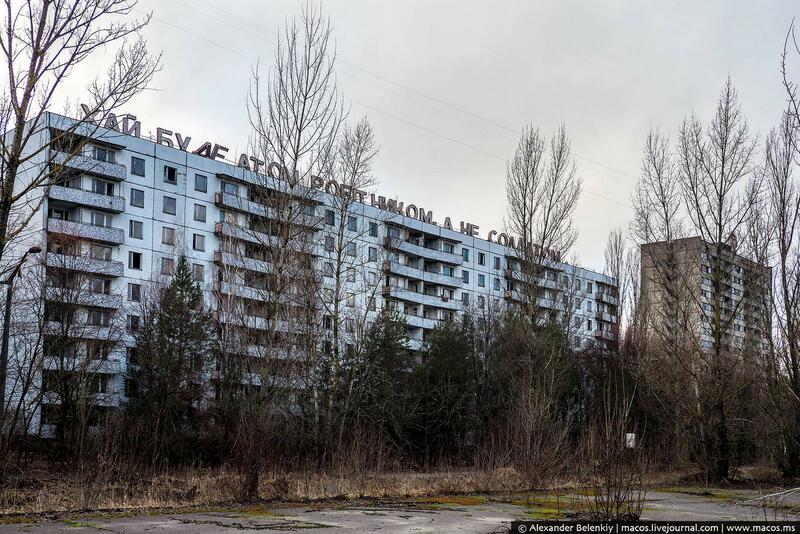 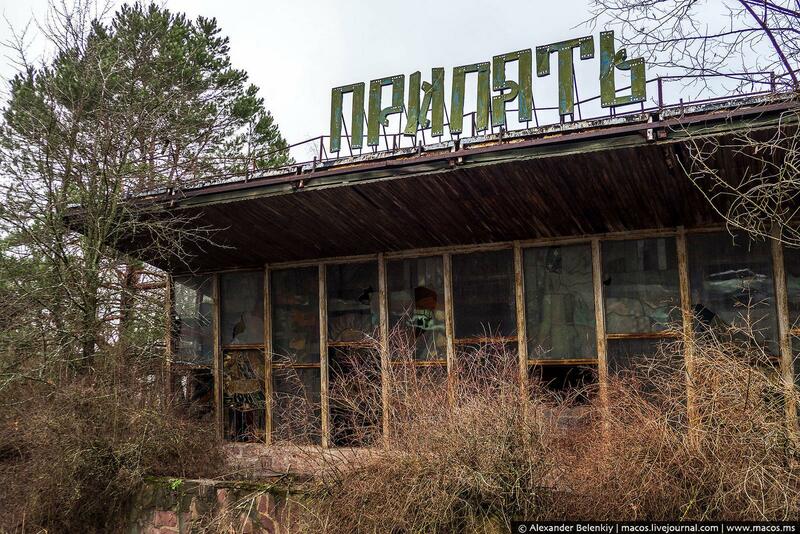 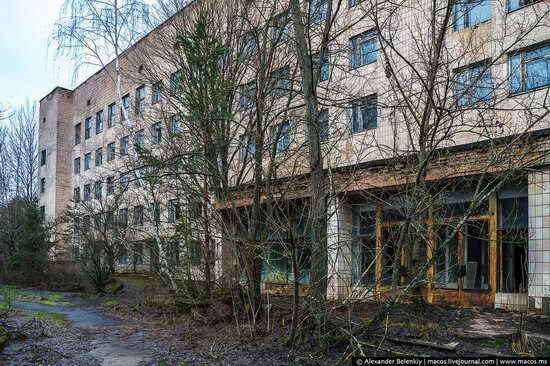 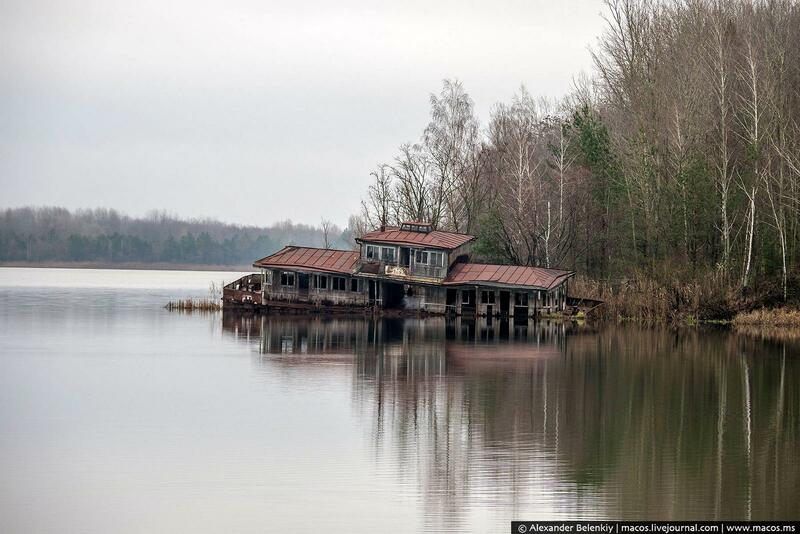 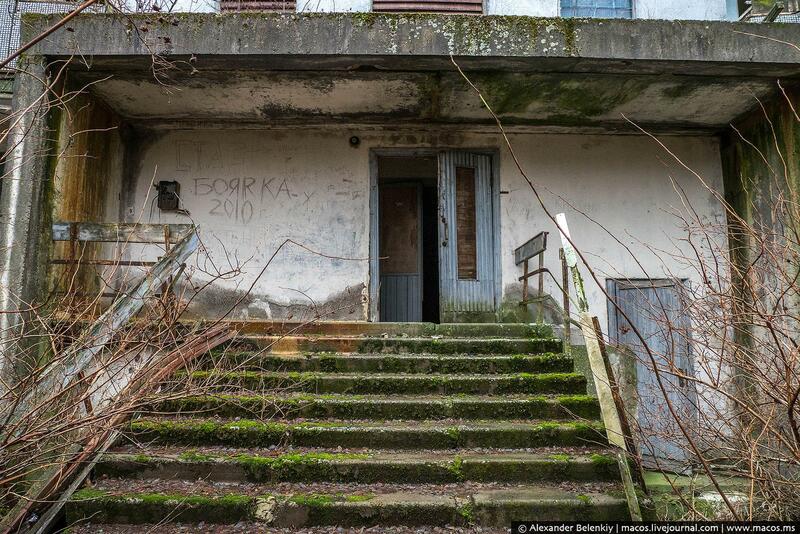 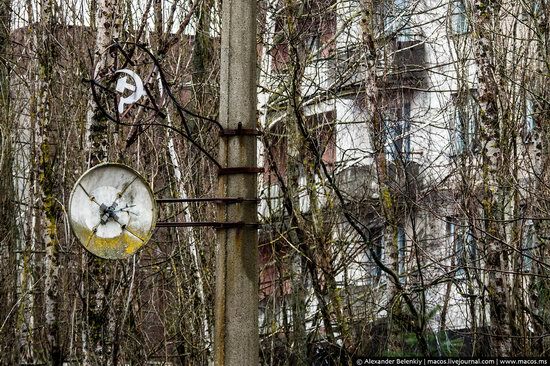 It is relatively easy to get to Pripyat, a trip to this abandoned town has become one of the types of tourism. 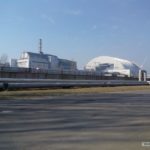 The level of received additional radiation, if you follow the usual precautionary measures, is comparable to one hour flight on an airplane. 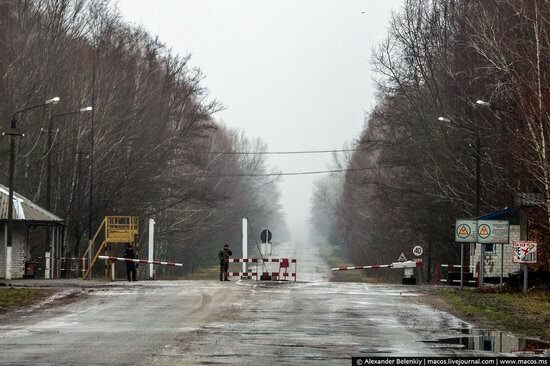 Checkpoint “Dytiatky”, about 40 km from Pripyat. 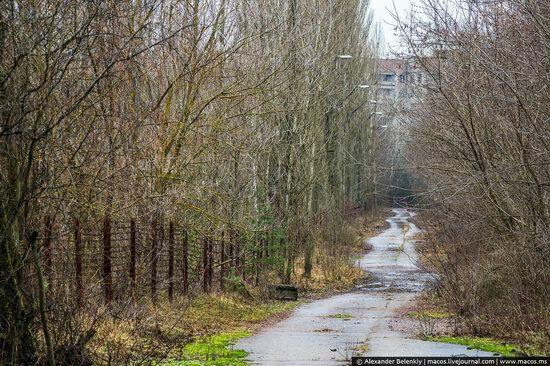 The only legal entry into the zone. 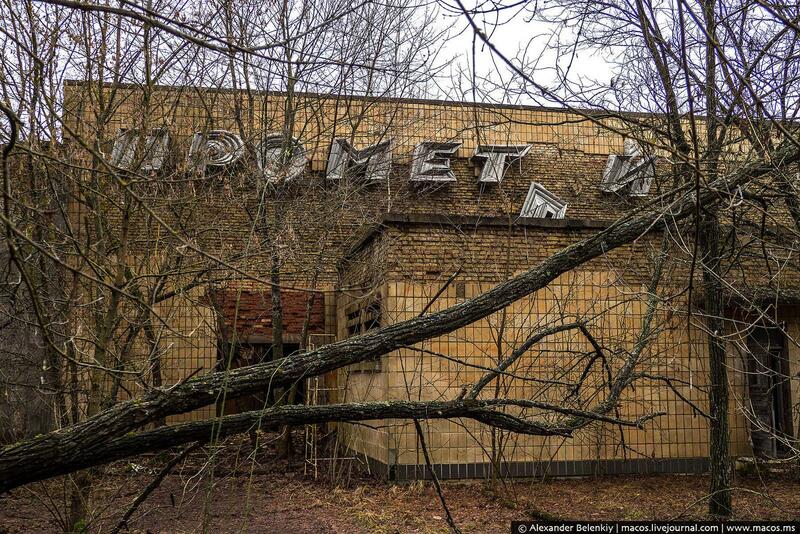 The easiest way to get to Pripyat is to buy a tour for one or two days. 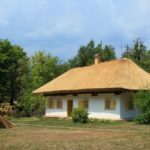 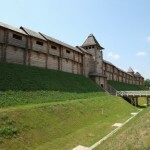 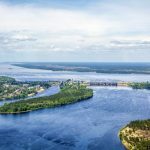 The cost of the tour, which includes the trip from Kyiv and back, registration of documents, lunch and overnight, is about 100-150 USD. 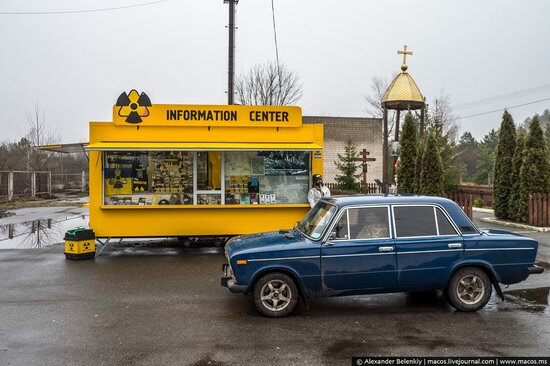 Information and souvenir kiosk of one of the tourist companies. 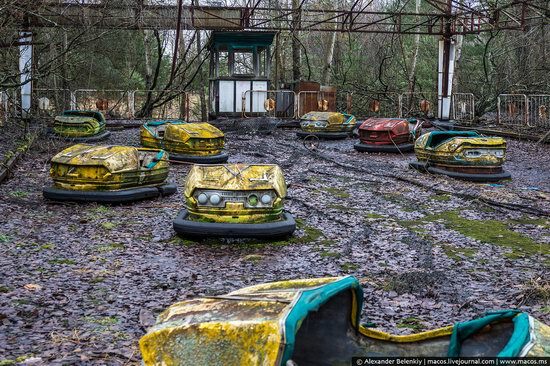 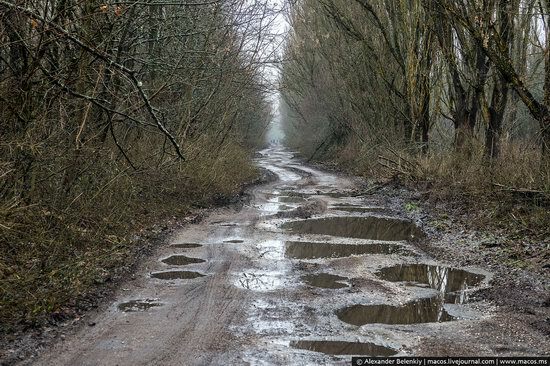 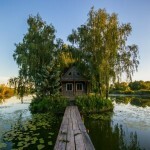 10 km from the Chernobyl nuclear power plant. 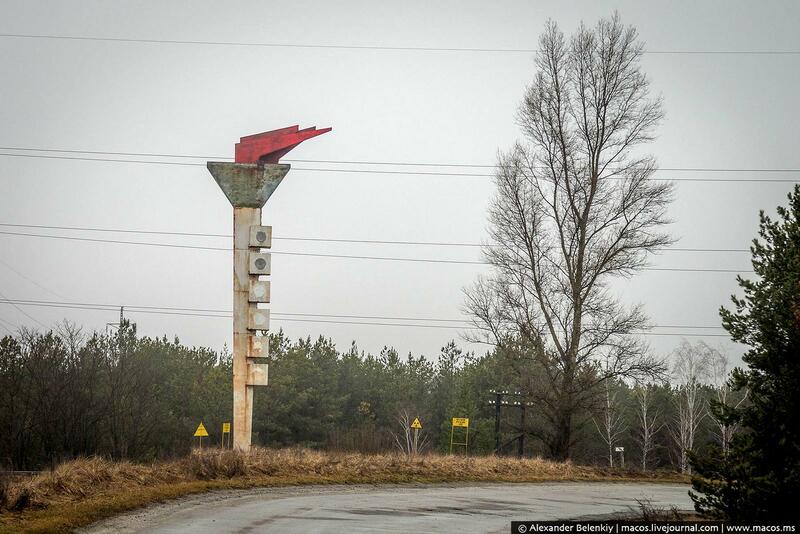 This rusted stele with a torch is among the most polluted places in the Chernobyl Zone. Entry sign of Pripyat. 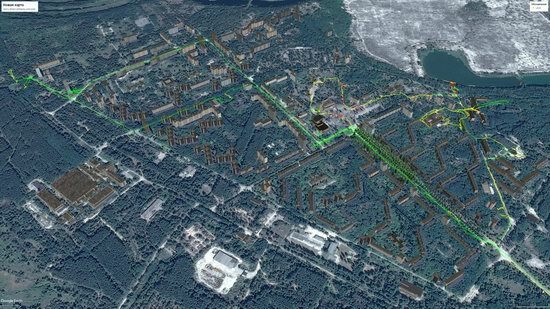 The road to the left leads to the residential part of the town, straight ahead or to the right – to the Chernobyl nuclear power plant. 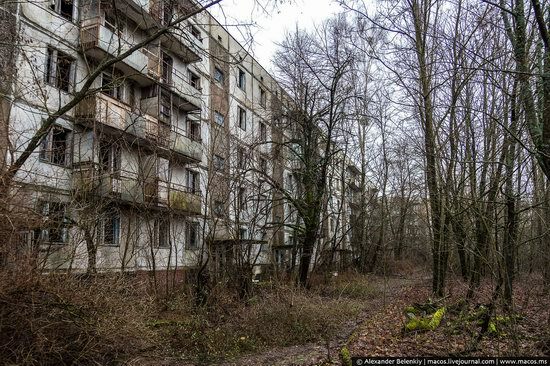 On the streets of Pripyat. 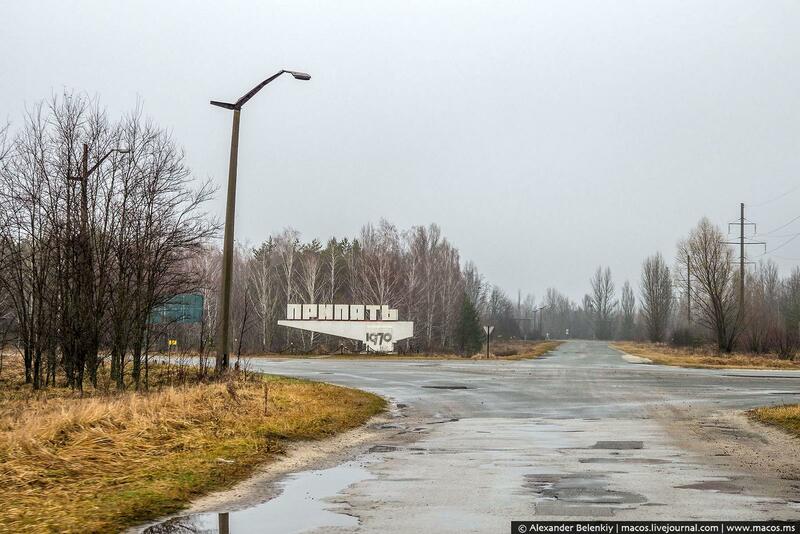 Lenin Avenue – one of the main streets of Pripyat. One of the main official bans is not to enter buildings because it is potentially dangerous, they can collapse at any time. In practice, not everyone can resist such temptation. The most interesting buildings are 16-story high-rise buildings, they offer an excellent view. The apartments are almost empty. 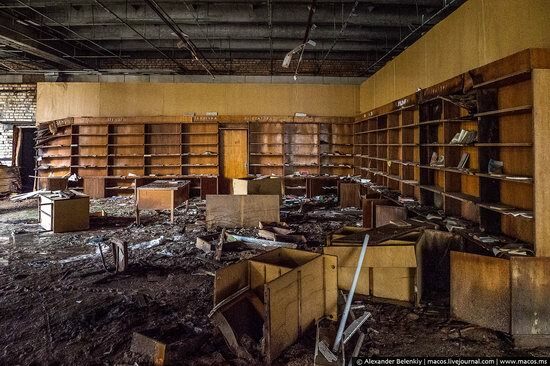 The most valuable things (money, jewelry) were stolen within months after the accident, a lot of contaminated things were collected by the liquidators of the accident and buried or stored separately, the remaining ones were finally plundered after the collapse of the USSR. 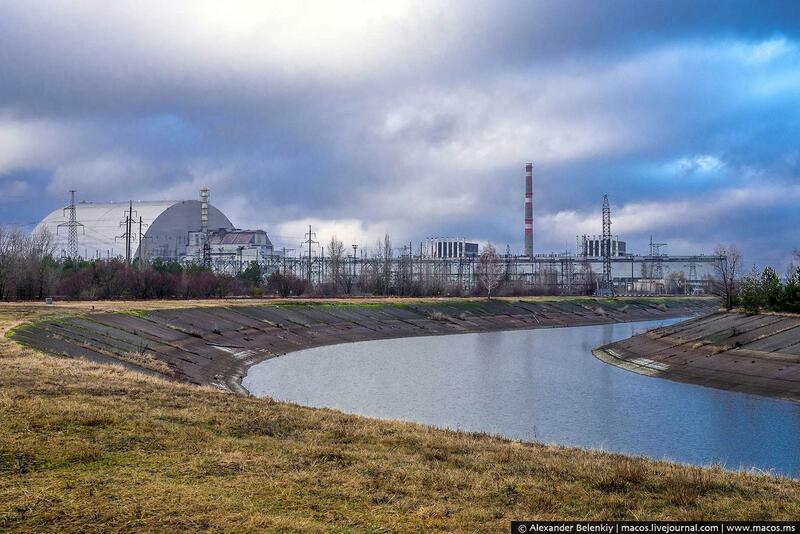 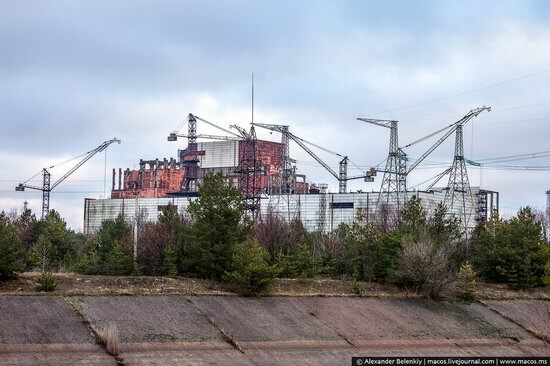 In clear weather, you can enjoy a good view of the Chernobyl nuclear power plant. 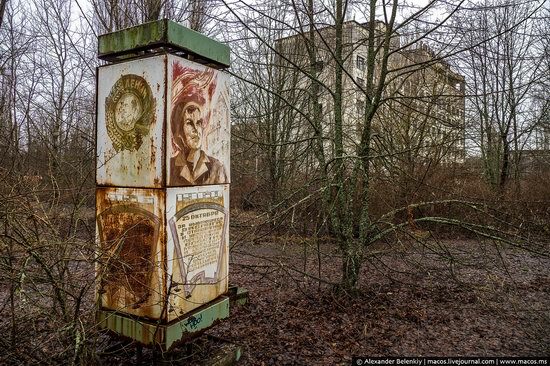 One of the most recognizable places in Pripyat – the corner of “Raduga” (“Rainbow”) store with bright yellow telephone booths. 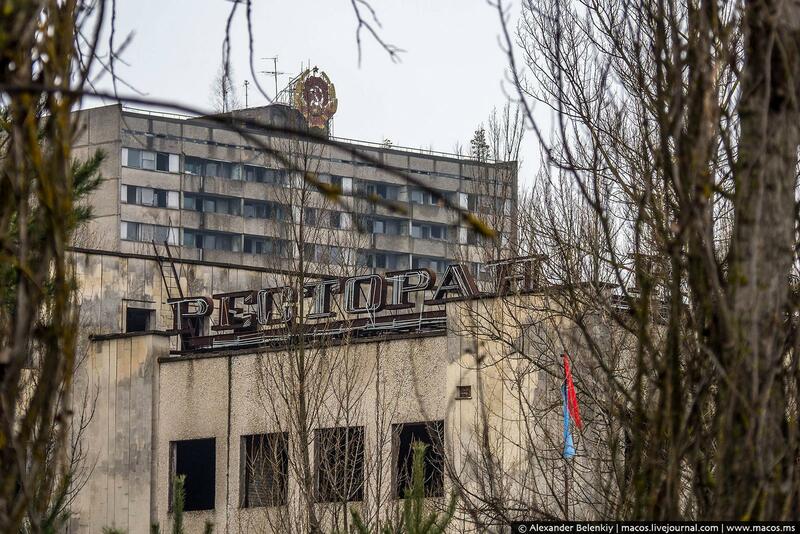 Pripyat is decorated with all kinds of slogans. 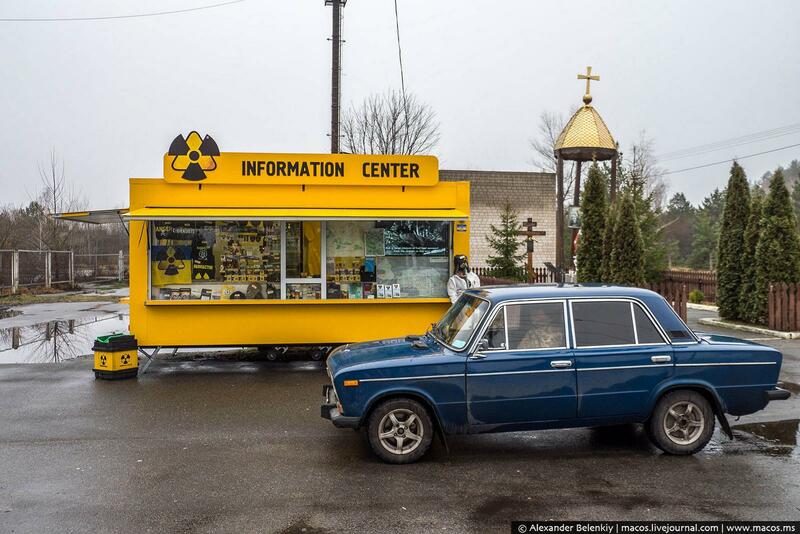 This one says: “Let the atom be a worker, not a soldier”. 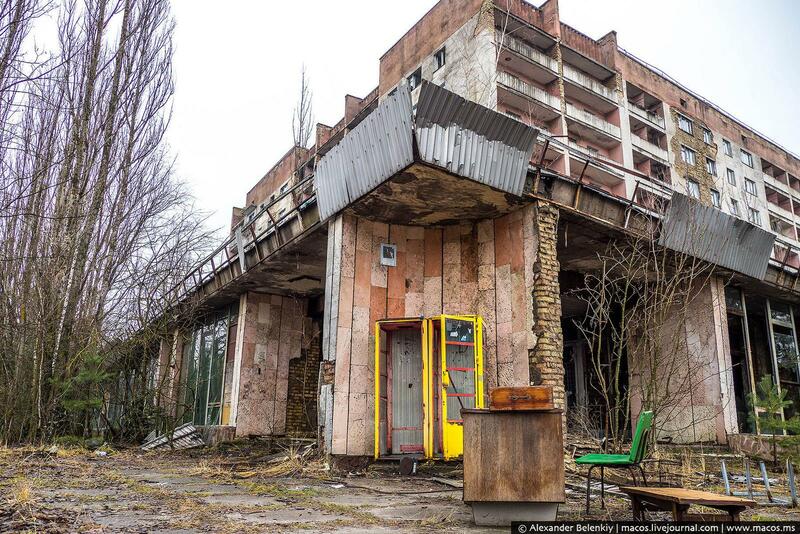 Hotel “Polesie” in the central square of Pripyat. 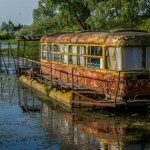 The accident occurred one week before May 1 (Labor Day) – one of the main Soviet holidays. 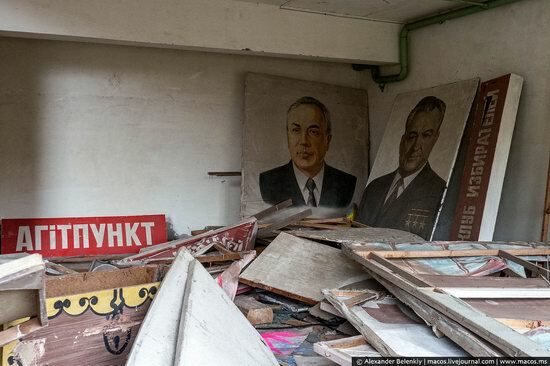 The posters for the festive demonstration remained standing in the corner in the Palace of Culture “Energy”. 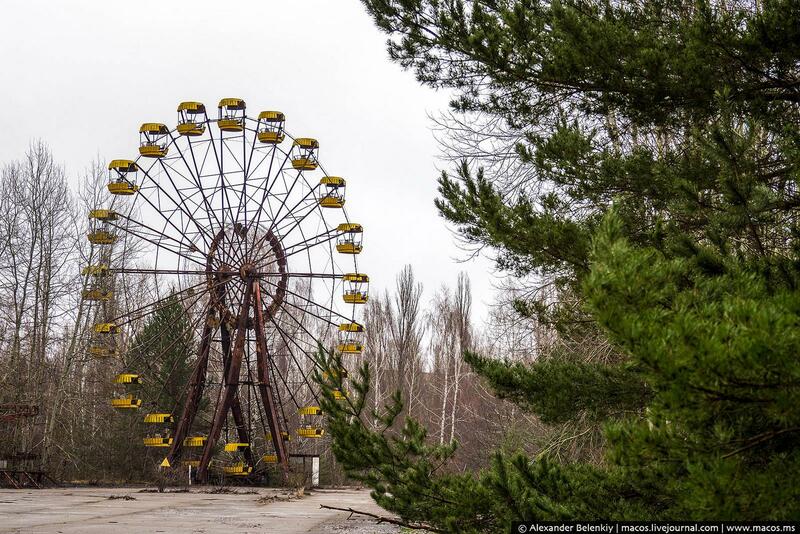 Pripyat amusement park with a Ferris wheel, which was to be opened on May 1, 1986. Because of the presence of a large number of metal objects, this place is highly contaminated and is not recommended to stand here. 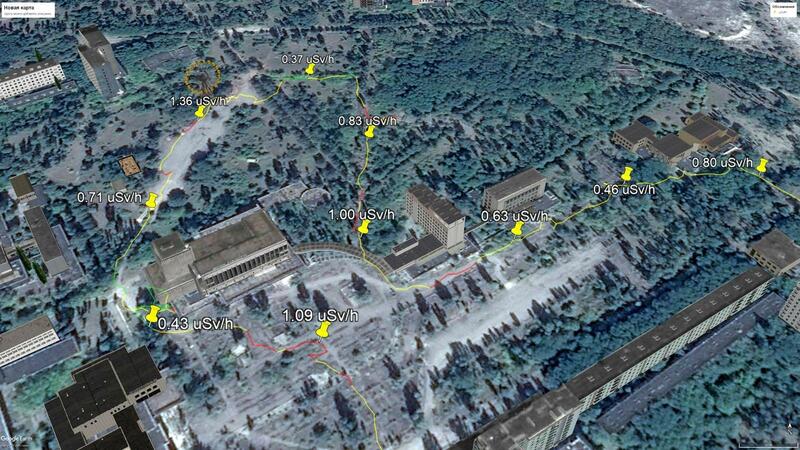 Map of the intensity of radiation pollution along the route. 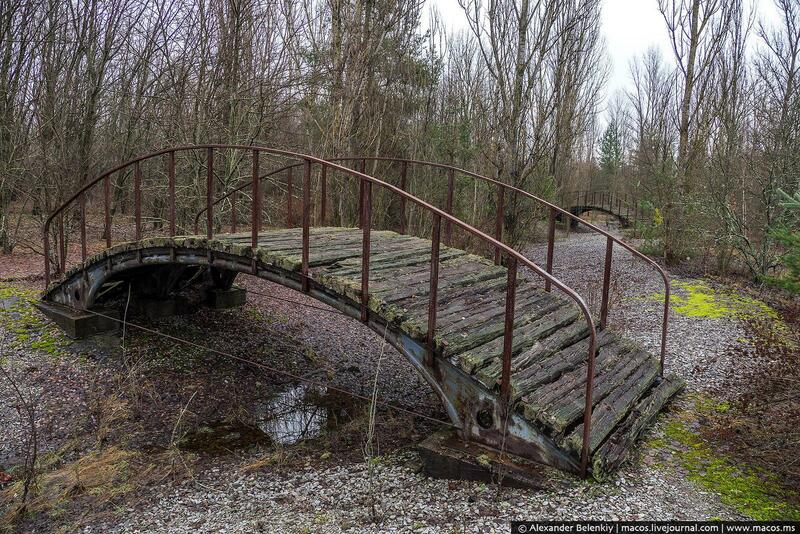 Beautiful bridges across a small stream on the way from the park to the central square. 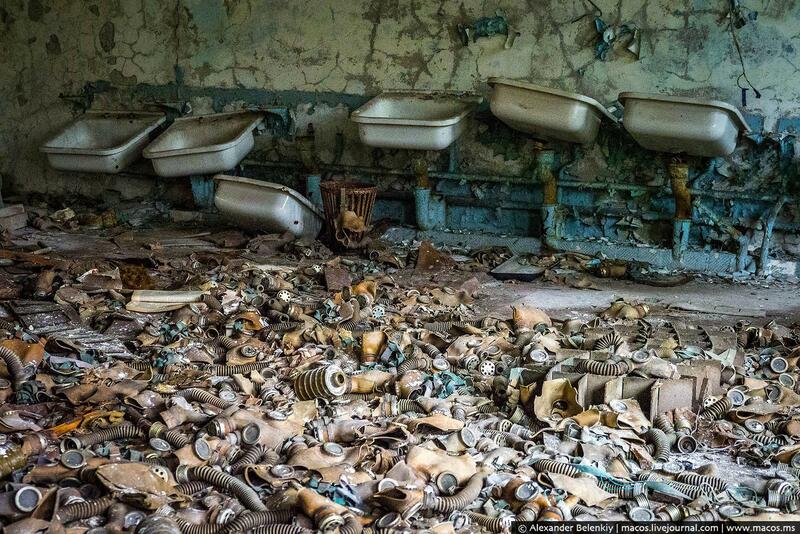 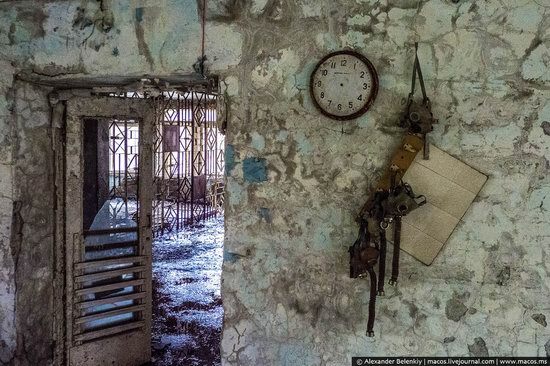 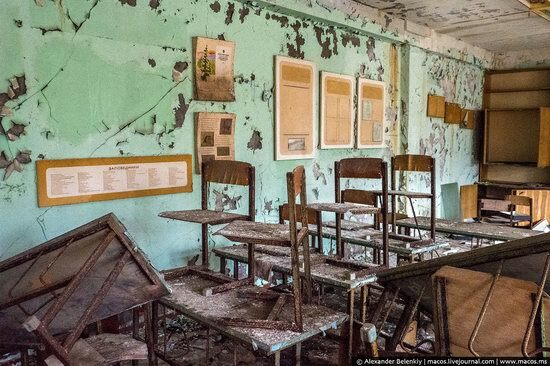 Inside the abandoned schools of Pripyat. 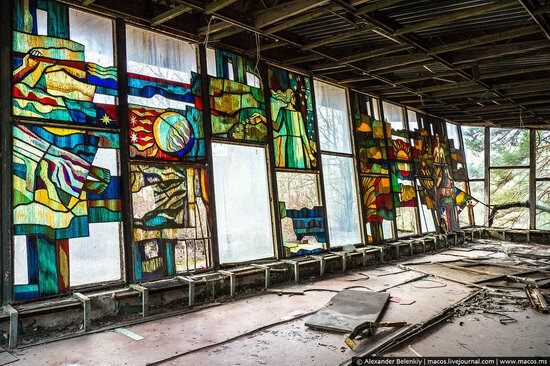 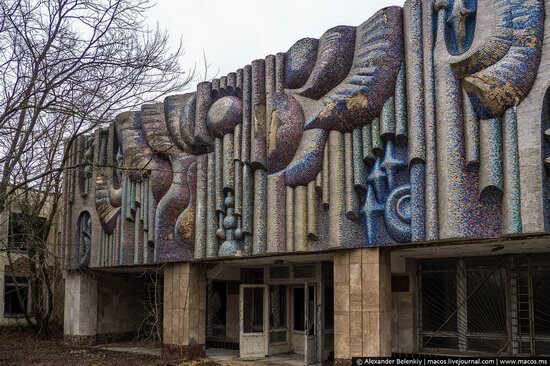 Pripyat River Station with beautiful mosaic. 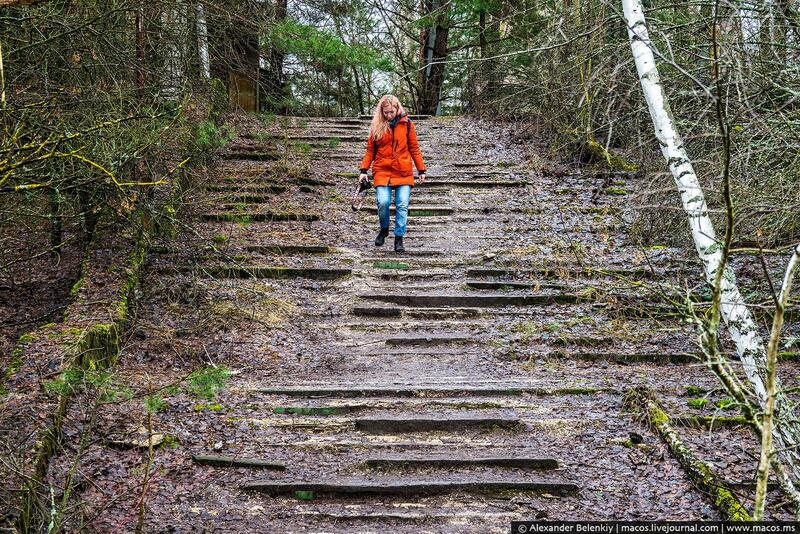 Stairs leading to the river bank is also a heavily contaminated place. Despite the fact that the trip to Pripyat is relatively safe, you should be careful and avoid walking alone especially without a dosimeter. Wooden pier moved by the river for about 100 meters from its original location. 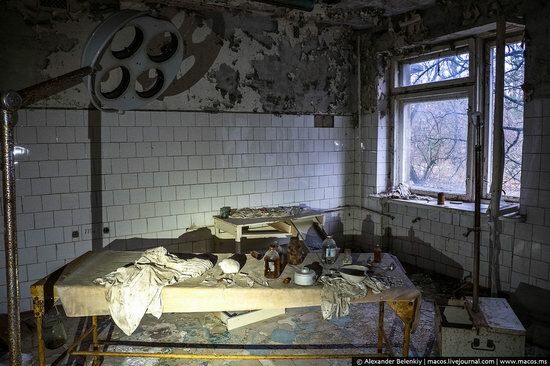 Pripyat Hospital. 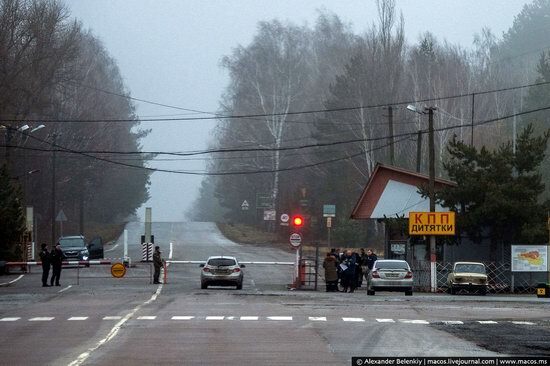 The first victims of the accident, the firefighters who extinguished the fire, were brought here. 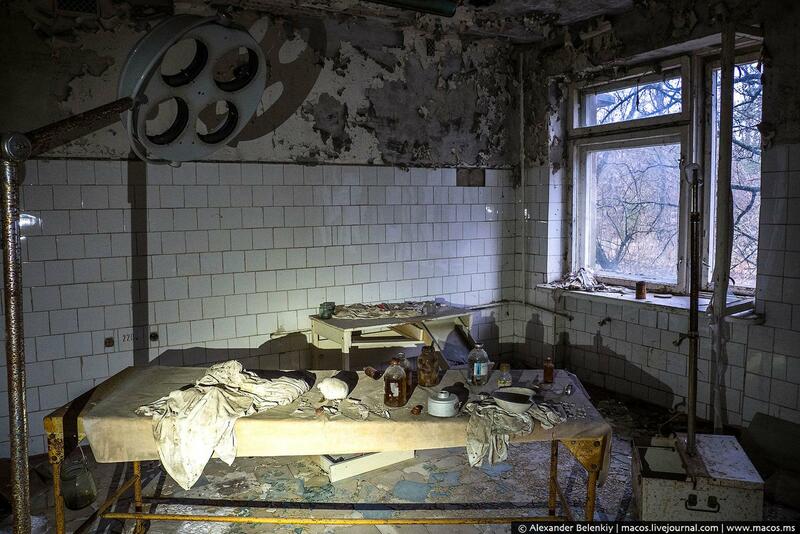 In the hospital basement, they threw off all their clothes, since it was contaminated. 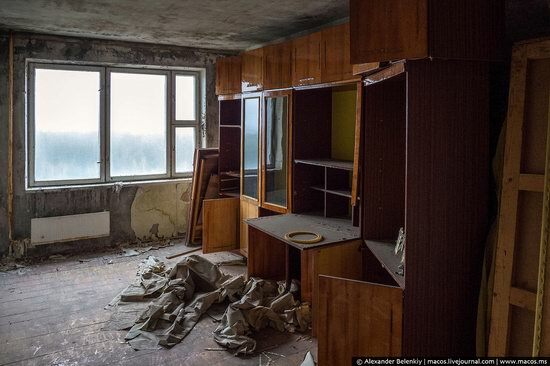 This clothing is still there and is the most contaminated and dangerous object in Pripyat. Buildings are gradually falling apart. Chernobyl nuclear power plant. 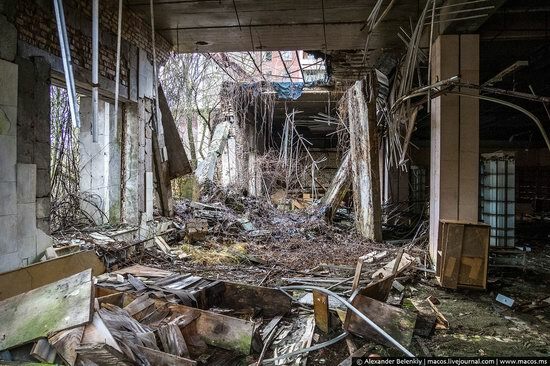 The destroyed part is covered by a new sarcophagus. 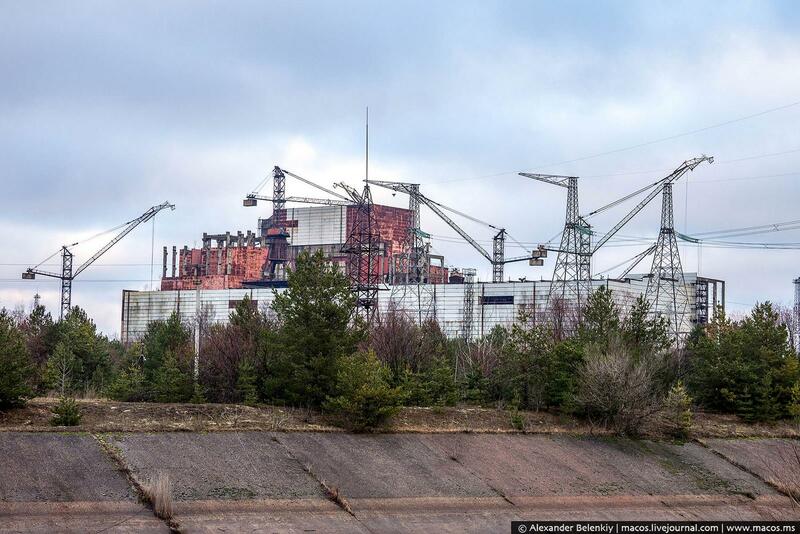 Unfinished 5th and 6th power units of the Chernobyl nuclear power plant. 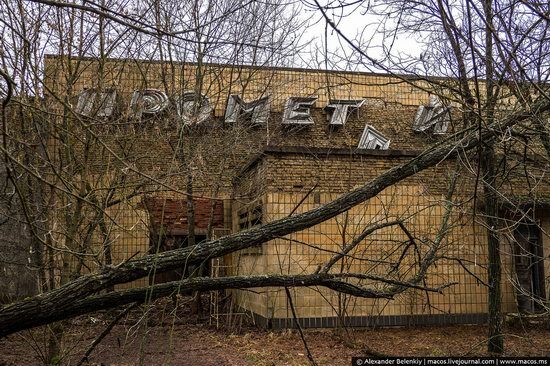 The construction was stopped in 1986.